Please submit your ballot for Mr. USB 2019. In order to be eligible to vote, you MUST have posted on either our VOY USB FORUM (www.voy.com/215218/) or on our USB Facebook Group within the last 30 days. Your vote will be confidential and will not be visible once you submitted since this a moderated forum. Voting ends at 12:00pm ET on Saturday, February 23, 2019. Thanks for being part of this important community and helpong select our 2019 representative. 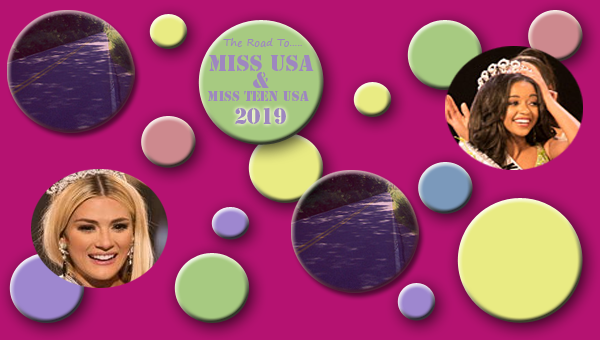 *please note that this pageant is going to be two separate pageants as the Teen winner will be crowned at 2:00 est, and the Miss at 6:00 est. on the Sun, Jan 14th. So the deadline for both pageants will be Jan 14th at 2:00 est. Here's the schedule for both competitions! Please have your Teen AND Miss selection in prior to the beginning of the Pageant. These are Central times, please post according to these times and NOT your time zone. Subject: OFFICIAL MR USB 2018 VOTING THREAD. Please submit your votes no later than Midnight ET on March 10, 2018. (Board is moderated so your vote will be private and cannot be seen). In order for your ballot to be valid and counted you must submit all 5 placements from Winner to 4RU. Last edited by author: Thu March 01, 2018 18:55:20 Edited 1 time. First and foremost, I want to thank all of you for supporting both IHP and me throughout this contest. And also to participants who have taught us a thing or two about this forum, you have my gratitude. It wasn't an easy feat, IHP can vouch for that eh? I do not if Qban is taking back the reins for the 2019 season, but if you guys have any suggestions to make this contest more fun or challenging, we welcome your feedback. Anyways, here's the Top 10 for each division and 2018's Top Gun. Congratulations to all! 1. No one predicted the winner for IL, WV, MS and TX (Miss) and MT, AZ and KS (Teen). 2. Only 6 participants earned the illustrious 5 points. They are Jessica (NH Miss, ID Teen), IHP (AL Miss), BeenThereDoneTHat (OH Miss), 3girlsandaqueen (WA Miss), PGMomma (TN Teen), NovR (WA Teen). Special mention to Jessica for doing this twice! 3. States with highest number of correct predictions (winner & 1st runner ups). MO (22), IA (20), IN (24), HI (27), MN (25), PA (23), OK (21) and NE (26) for Miss. OR (21), LA (20), ND (25), VT (23), DE (22), TX (20), CA (20), DC (20), NE (21), NV (20) and NM (21) for Teen. 4. States with lowest number of correct predictions (winner & 1st runner ups). RI (1), MI (5), NC (4), LA (5), CO (2), NH (1), AL (3), WA (1), OH (1) and DE (3) for Miss. IL (5), ID (1), MI (3), WV (2), TN (3), NJ (2), OH (3), HI (2) and CT (4) for Teen.